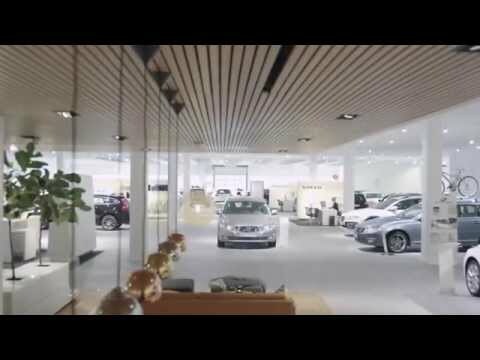 The best way for you to buy a used Volvo car, with the piece of mind of the Volvo promise. Every Volvo Selekt car has a history and provenance check carried out and has to pass over 100 checks to meet Volvo's safety, performance and appearance standards. During preparation, we only use Volvo Genuine Parts, ensuring that your Volvo remains 100% pure Volvo. We also connect every car back to the factory’s original record and upgrade the car’s software. This service is exclusive to Volvo dealers and ensures that your Selekt car is running to the optimum capability. Also included in the Selekt offer is 12 months’ Volvo Assistance. It's more than just a roadside recovery package,– wherever you're driving within the European continent, you'll receive emergency breakdown and recovery 24 hours a day. From a flat tyre to a traffic accident – and whether you are at the roadside or stuck at home – you can count on Volvo Assistance to get you moving again. We are committed to making sure you are 100% satisfied with your Volvo Selekt car. That's why every single car comes with our 30 day exchange guarantee. If you are dissatisfied with your Selekt used car within 30 days or 1,500 miles driving, whichever comes first, we'll exchange the car for another of equivalent value. NOTE: Vehicles under 3 years old will have the balance of the manufacturer warranty in place unless the car is between 24 and 36 months old in which case the following Volvo Selekt Warranty cover will take over at the point the original Volvo warranty expires. Spark plugs, auxiliary drive belts, hoses and pipes (Power Assisted Steering pressure pipes are covered), exhaust system (catalytic converters are covered), clutch frictional material, brake shoes, pads and discs, lamps (xenon headlamps are covered), bulbs, fuses, batteries, paintwork, body panels, body seals and weather strips, handles and hinges, cosmetic finishes, carpets and trim, upholstery, glass, wiper blades, wheels and tyres, the rectification of any oil leaks (unless the removal of a major unit is required) and the adjustment of any component, servicing, maintenance and normal wear and tear. In the event of a successful claim, we’ll also provide a contribution towards recovery charges, replacement vehicle hire, overnight hotel expenses, emergency travel and consequential damage (Warranty Terms and Conditions apply). Cover is also extended to the continent of Europe for UK residents. IMPORTANT: Vehicles should be serviced in accordance with the Volvo servicing schedule by an authorised Volvo repairer. Failure to do so may invalidate this warranty. Leeway of one month or 1,000 miles is permitted. Should you have any doubts concerning the service requirements of your Volvo, please contact your dealer for clarification. Volvo MOT Test Cover protects against the cost of repair, replacement and/or adjustment to the vehicle of the specified parts listed below which are covered as a direct consequence of such parts being cited in a ‘notification of a refusal to issue an MOT certificate’ (form VT30) prepared during the period of the cover, as causing the vehicle to fail its MOT test. Accident damage is not covered. This Volvo MOT Test Cover only applies to a qualifying failure item (see list below) resulting from the next due MOT Test after the vehicle is purchased as a Volvo Selekt car. Only one Volvo MOT Test claim is permissible on any one Volvo Selekt Package registered. Lamp, reflectors, indicators, and bulbs are covered for failure due to: Breakage, discolouration, misalignment, water ingress, and corrosion. Manual and power steering units, suspension drag links, track rods/ends, transmission shafts, CV joints and boots, shock absorbers, road springs, wishbones, swivel joints, mountings, sub frames and wheel bearings are covered for failure due to: Wear, seizure, leakage, and insecurity. Throttle body, fuel injection system, ECU are covered for failure to meet MOT exhaust gas emission standards (actual tuning and adjustments or any damage caused by contaminated fuel and/or inappropriate fuel are not covered under this section). Fuel leaks are not covered. Brake master cylinder, wheel cylinders, calipers discs, drums, load compensator, ABS modulator/sensors/computers/, brake pipes, hoses and cables are covered for failure due to wear, leakage, seizure, splits/cracks, corrosion and adjustment. Mountings, belts, retractors and buckles are covered for failure due to wear, non function and insecurity. Vehicle structure is covered for corrosion. Failure due to accident damage is specifically excluded. Windscreen wiper arms and blades, windscreen wiper motors, washer motors and horn. Where liability for the cost of repairs is admitted under this MOT Test Warranty the Warranty Holder will be reimbursed repair costs to a maximum aggregate of £750 (including VAT) during each period of MOT Test Warranty. IMPORTANT: The MOT Test Warranty does not cover accidental or malicious damage or neglect. See terms and conditions. Terms and Conditions Apply (Consult your dealer for full details).